Happy! 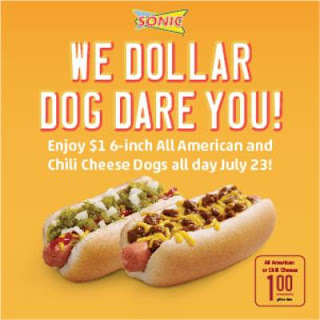 節約生活 in アメリカ: Sonic: 6-inch All American and Chili Cheese Dogs for $1 Today! Sonic: 6-inch All American and Chili Cheese Dogs for $1 Today!